Since you’re here, trying to figure out which one of the Best Cold Weather Hunting Clothes models mentioned below is the best hunting outerwear for you. Moreover, you probably already understand the importance and the advantages of having a good hunting jacket or any other clothing. But what makes Best Cold Weather Hunting Clothes great? Well, stick around, and I’ll teach you how to pick out the Best Cold Weather Hunting Clothes out of the bunch! The best hunting jacket has to be able to keep you warm, even when the temperatures drop significantly. I mean, let’s face it – when you’re out in the wild, what other options do you have, except to rely on your jacket to help maintain your body heat. As the surrounding temperature drops down, it’s vital that your body’s temperature doesn’t. That’s why proper insulation is such an essential feature in hunting jackets – it will prevent the cold air from passing through the fabrics, and getting to you. That said, there are two more weather protection features you should look for in a hunting jacket, so keep on reading. Even when the temperatures are not that low, you’ll still feel cold in severely windy conditions – unless you get yourself a windproof jacket, of course. The trick is preventing the wind from piercing through, and that’s what windproof materials do. One question I get asked a lot, especially by newbies, is: If a jacket is waterproof, does it automatically mean it is windproof, too? The only valid answer here is that it depends. That said, in most cases, waterproof fabrics can be windproof, too, although only to a certain extent. So, if you’re worried about the windy weather, the best advice I can give you is not to overlook the windproof feature, and rely solely on your jacket being waterproof. Is there a sure way for you to tell if it’s going to rain on your hunting trip? Unless you have a method that the rest of us aren’t aware of – in which case, you have to share it with us in the comments – you never know when you’ll get caught in the pouring rain. When you do, you’ll be glad you opted for a jacket with a water-repellent coating or one made from waterproof fabrics. It could be the best waterproof hunting jacket. Cabela’s Stand Hunter Extreme Parka is a must-have for anyone who hunts in extreme winter weather. Designed with both Woolitimate fabric and Thinsulate Platinum insulation, this parka keeps you warmer than you can imagine. To ensure warmth, yet cut down on bulk, Cabela’s varies the level of insulation to give you warmth where you need it most. The parka features 150-gram Thinsulate throughout, with 200 grams surrounding your core and 300 grams down your spine and around the kidneys to help heat the areas that impact the rest of your body. With a removable 150-gram Thinsulate hand warming muff, two chest handwarmer pockets and a detachable hood, even your appendages stay toasty warm. Hence, these are one of the best cold weather hunting clothes. The next model on my list is the First Lite Sanctuary Insulated Jacket. First off, let’s talk about staying warm. With seven – yeah, seven – layers of fabric and insulation combined, this one acts more like an oven, than your average jacket. Add the water-repellent exterior, and that’s pretty much all you’ll need to stay comfortable (and dead quiet), even in freezing temperatures. I’m talking freezing winds on heights, while you’re on a ladder tree stand, completely calm waiting for that deer to come. The SITKA Incinerator is the second SITKA model on my list, so you already have a good idea of what to expect. The warm-when-wet Prima Loft insulation, the water-repellent coating, and the safety harness pass-through port are all there. Well, there’s the articulated patterning – the design minimizes bulkiness, and allows you to move freely at all times. Hence, these are one of the best cold weather hunting clothes. Plus, it won’t get in the way of your bowstring. Furthermore, thanks to the outstanding job the triple-layer GORE-TEX membrane does at keeping you warm (and dry), you can wear the jacket over next-to-skin layers without worrying about the cold when spending countless hours in the tree stand. Time to say goodbye to layer upon layer of clothes! The exterior fabric is lightly brushed, so it’s hydrophobic and stays quiet at all times. Keeping your stealth has never been easier, huh? The pockets are well organized and decent in size, but there are not many of them – bringing your hunting GPS alongside the monoculars, and some grunt tubes won’t be a walk in the park. First, there’s the brushed micro-fleece exterior that utilizes the H2P waterproof technology, so right off the bat, you can be sure of two things: you’ll stay warm, and you’ll stay dry. 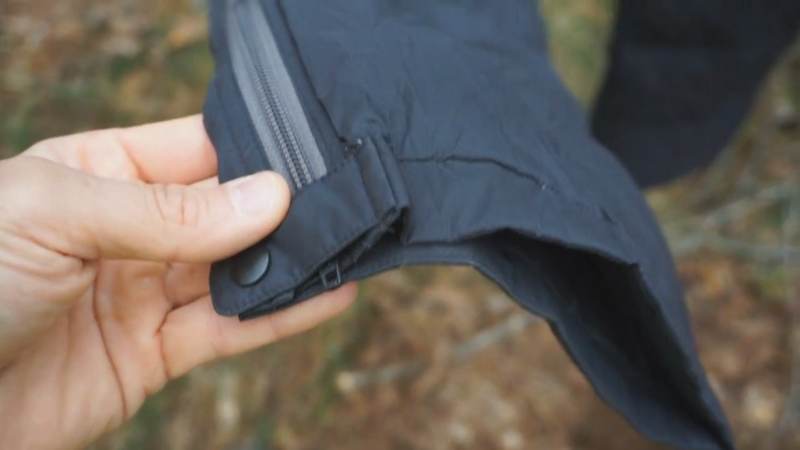 No wonder it’s the go-to jacket for late-season hunting – even the two-way zippers are weatherproof here! The radial collar plays a huge role, too. Thanks to its half-moon shape, it protects the back of your neck from the cold air that can get inside quickly, especially when on a tree. Paired with a fully adjustable Sherpa-lined visor hood, it provides an unmatched level of protection against the elements. Hence, these are one of the best cold weather hunting clothes. If sweating is a big issue for you, you’ll appreciate the underarm zipper vents more than anything. Whenever you feel like you need some extra breathability, they’ll provide instant relief. That said, Rivers West worked on using more breathable fabrics for this model, too. If you think you can’t get a great hunting jacket at an affordable price, the Gamehide Deerhunter parka is here to prove you wrong. First off, it’s more than capable of keeping you warm – the high-loft Heat Tech insulation features tube-like filaments that trap your body heat. You’ll be the one that stayed in your treestand the longest, even when others started heading home due to severe cold. Furthermore, the fabrics used are waterproof, so no need to worry about sudden rain – or snow! Storage space isn’t an issue with this one, either – there is plenty of pockets, including a security one on the inside, as well as loops for your ammo shells. You can bring a lot of your additional hunting gears with you without any problems. Hence, these are one of the best cold weather hunting clothes. The zippers work both ways, and you know how convenient that can be when you want to sit down, but don’t want to unzip your jacket all the way. But if you’re looking to buy a decent hunting jacket, and save some money along the way, you probably won’t find a more suitable option than this one. A wealth of functional details separate Under Armour’s Men’s Ridge Reaper Forest Base 03 Jacket from the competition. Water-resistant Storm1 technology sheds moisture for quick-drying performance. UA Scent Control technology works ten times longer than carbon, targeting human odor and minimizing scent profile. Exclusive camo patterns, making them able to blend into nearly any hunting environment. Hence, these are one of the best cold weather hunting clothes. 4MOST WINDSHEAR offers an additional protective barrier from the elements on blustery days. Drawcord-adjustable waist, elastic cuffs and a license loop on the back. Fleece-lined handwarmer pockets. Two front zipper pockets. One rear zippered pocket. Adjustable and detachable hood. Detachable handwarmer muff. Dual storm flap on front opening.